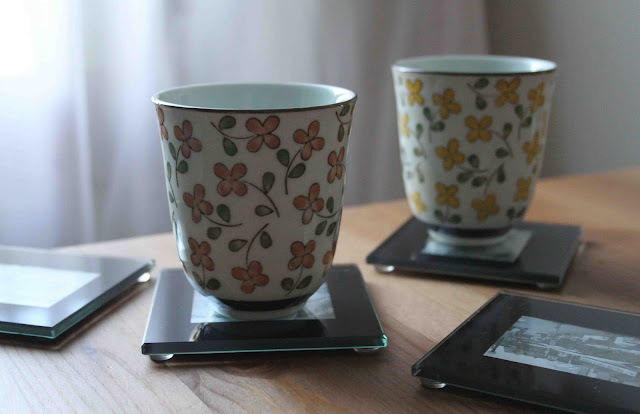 I found these glass coasters in a little store in Chinatown just on the border of Kensington Market. They came in a package of green, blue, yellow and black, but I just wanted the black ones, so I pulled them out from different boxes and stuffed them all into one package. 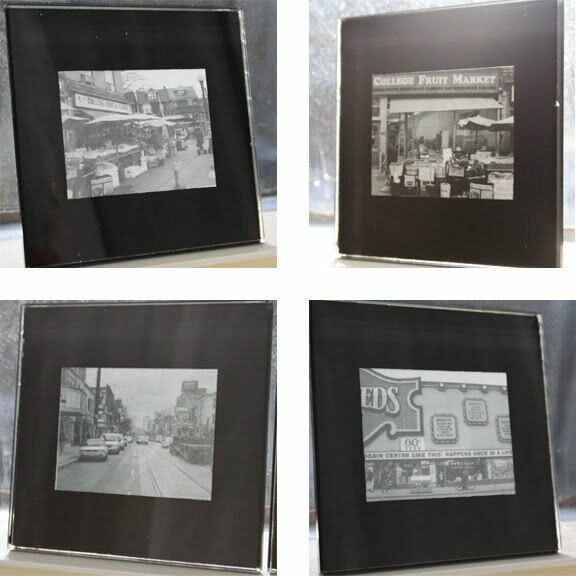 I took a few B+W photos of different landmarks close to my home, scaled them according to the measurements of the coaster windows in Photoshop and got them printed at Shoppers. A sort of quick and dirty little projectile, but I think they're rather cute.